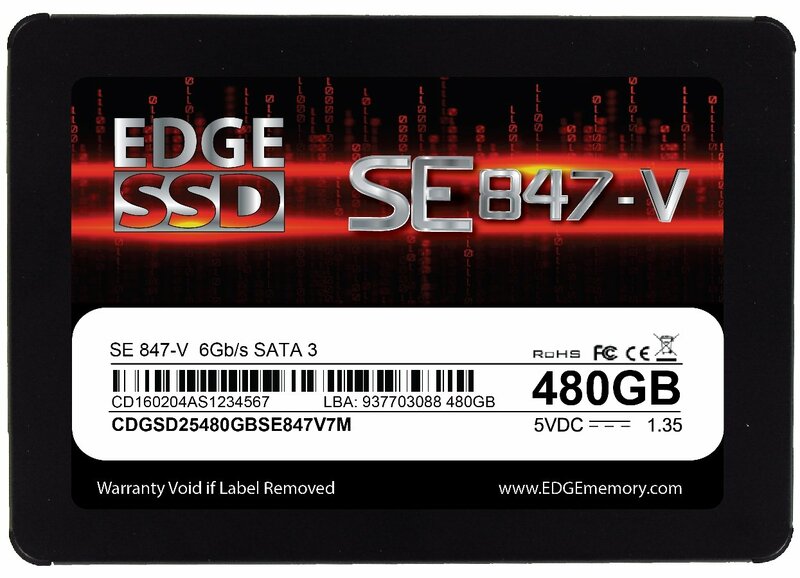 EDGE™ SE847-V - SATA 6Gb/s, 2.5"
EDGE SE847-V SSDs are TAA compliant, built with premium controllers, and backed by a superior three-year warranty. Exclusive to CDW, the SE847-V series stands at the center of quality, performance, and value. Leveraging over 30 years of industry experience, it is engineered and manufactured for the over 250,000 customers of a leading provider of integrated information technology solutions. Featuring a Silicon Motion controller and quality 3D NAND*, SE847-V SSDs are loaded with enhancements to promote a high performing and reliable computing environment. TRIM, Wear Leveling, Secure Erase, StaticDataRefresh, DevSleep and LDPC ECC functions optimize data processing efficiency. S.M.A.R.T. and a built-in temperature sensor assist with monitoring drive health. 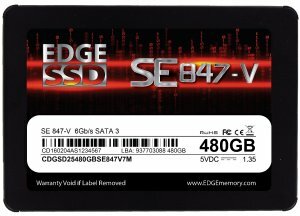 The SE847-V provides outstanding transfer speeds. Improved system startup, data access, application loading, and backup times are typically realized when upgrading systems from a traditional spinning disk hard drive to an SE847-V SSD. SLC cache is also included, further enhancing read/write and IOPS ratings. The EDGE SE847-V is exclusively available at CDW. If you need assistance, please call us at (800) 259-8989.